PRIME EXCLUSIVE: You can only get this deal when you log in with your Amazon Prime account. And as always, Prime members get free shipping from Woot! 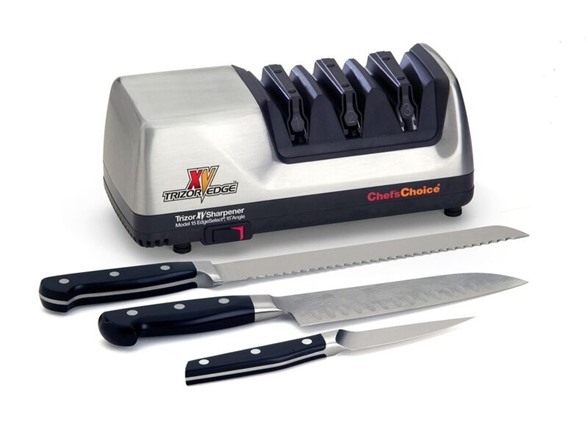 The Chef's Choice Trizor XV Sharpener professional 3-Stage EdgeSelect electric knife sharpener combines the strength and durability of the triple-bevel Trizor edge with the flawless, ultra-sharp 15˚ XV EdgeSelect technology to sharpen both fine edge and serrated knives. 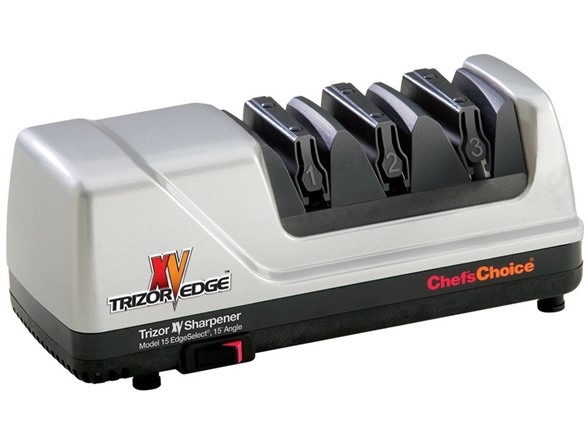 It’s the ideal sharpener for converting 20 degree class knife factory edges into the high performance Trizor XV 15 degree edge; and will also flawlessly sharpen double-bevel or single-bevel 15 degree class knives. It features advanced, flexible spring guides that provide accurate control of the sharpening angle, for the thickest or thinnest knife blades, insuring ultra-sharp edges quickly and easily! Its 3-Stage EdgeSelect system provides optimum versatility in providing the perfect edge for each cutting task.